Ethereum (ETH)–After a 16 percent decline in value over 24 hours, the price of Ethereum sunk to its lowest point in nearly a year. Trading a $265 as of writing, the second largest cryptocurrency by market capitalization has completely retraced the gains made following the beginning of the year’s massive bull run. While some have pointed to the overall state of the cryptomarkets as being bloated and unhealthy, with altcoins across the board experiencing double digit losses on the week, the head of crypto hedge fund BloomWater Capital is placing the blame on ICOs cashing out. As Bloomberg points out, the massive number of ICOs being built on the Ethereum blockchain was the primary catalyst for Ether’s price gain throughout last year, in addition to the significant amount of development interest it generated. Now, the very same usability is leading to price decline that is outpacing Bitcoin, as investors who were previously purchasing ETH to participate in Initial Coin Offerings (ICOs) are staying out of the market. Considering that the majority of ICOs to come out in the past year have been built as ERC-20 tokens, it has made sense for investors to buy in with existing Ether coins. In addition, Ethereum has lower mining fees and faster average transaction times than Bitcoin, while still being a highly recognized coin. While previous reports have seen the ICO market double in volume through the first half of the year over 2017, existing ICOs are cashing out in massive volumes to cover the costs of the sinking crypto market. The result is a forced selling of Ether, driving the price of ETH down ahead of other top of the market coins like BTC. As Das puts it, the fragility of the current market is unable to withstand the forced selling and downward pressure of ICOs cashing out to cover costs, causing Ethereum to drop to price levels not seen since the middle of last year. Bloomberg also points out growing concerns over the ability of Ethereum’s network to handle transactionary volume in addition to the ICO’s being built on the platform. 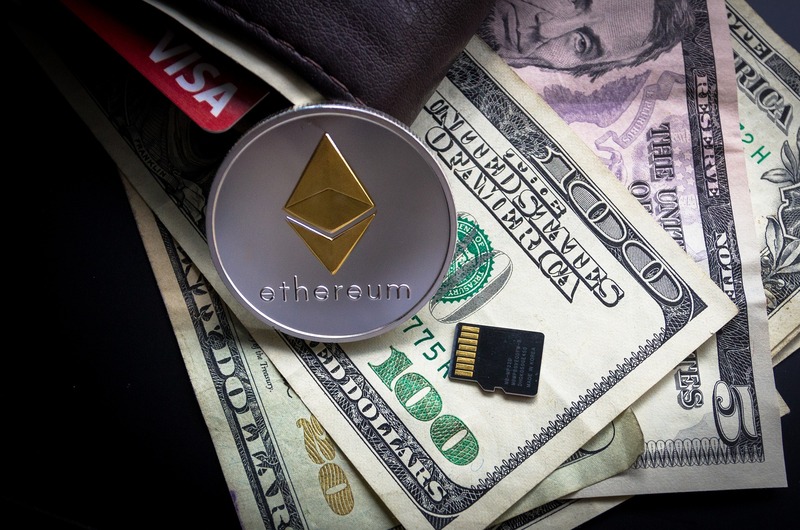 The end result has been other platform-focused cryptocurrencies springing up in the interim, such as Cardano’s ADA and TRON’s TRX, to fill the void in investor skepticism over Ethereum being capable of handling the development volume.